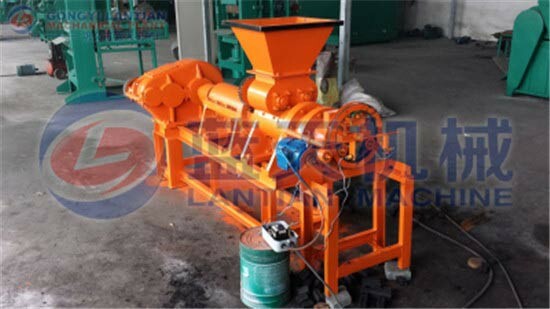 Straw briquette machine is used to make sawdust, sugar cane, rice straw, rice stalk, corn stalk, cotton stalk, bean husk and other agro-waste and forestry waste into half-charcoal stick. 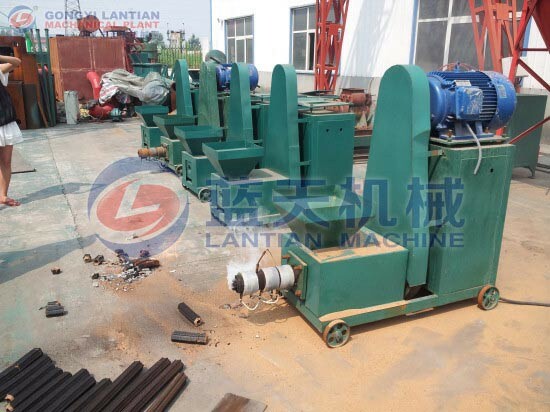 The product of Straw extruder machine can be used to heat boiler, fireplace, etc for warm in house. The length of the finished product can be controlled by yourself, and we can also change it right for your requirement. The outlet briquette has the features of high density, small volume, good flammability, which can take place of fuel wood and coal. The common diameter of briquettes is 50–80mm, and the shape can be square, rectangular, round with a hole in the center. 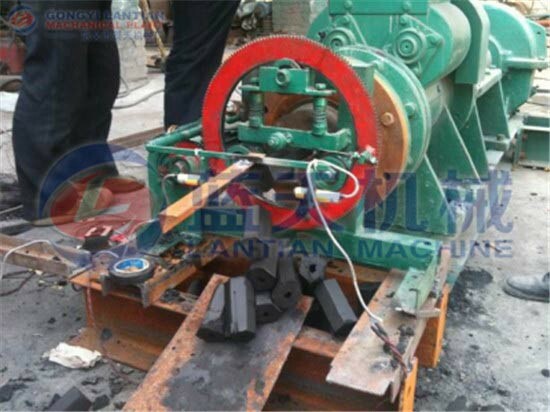 The inlet moisture of raw materials must be less than 12%, otherwise, the outlet briquettes are easy broken and have crevice. So before briquetting, the wet materials should be dried. 1. We use the cold pressing molding technology and polishing integer process to ensure the machine good appearance and compact structure. 2. 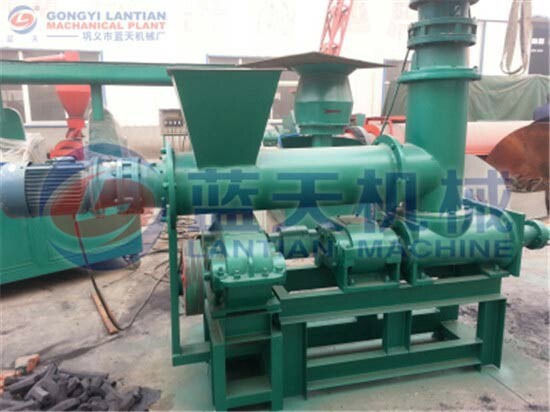 Rice straw charcoal briquette making machine can continuous working for long time, high output, low power consumption, low noise, low failure. 3. Longer using life, lower noise when working. 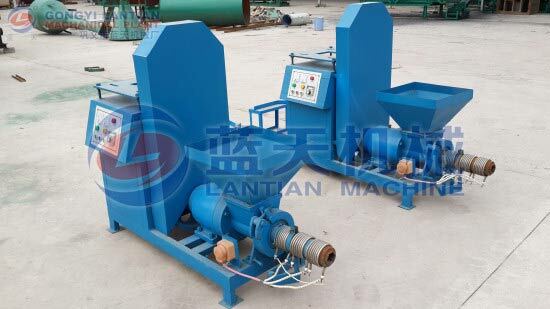 4This series of Biomass straw briquette machine is a new type of Straw extruder machine, the finished products are more solid. 5. The density, strength and hardness of products are very high. 6. Engine can be electromotor, diesel engine, gasoline engine; both of them are ok for working. 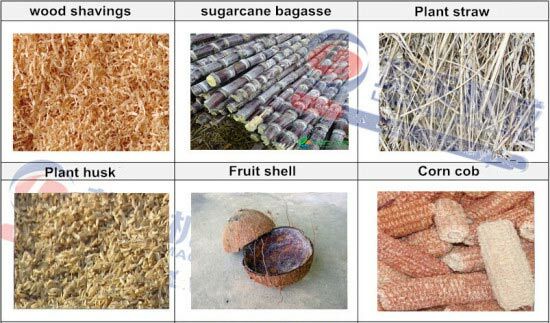 The major residues are rice husk, coffee husk, coir pith, jute sticks, bagasse, groundnut shells, mustard stalks and cotton stalks.